The iCandy Raspberry has caused rather a lot of controversy within the blogging world recently and has been met with really mixed opinions. I think buggies can be quite a difficult thing to review, as everyone has different wants and needs - and this is why it's important for bloggers to write entirely honest and impartial reviews about them. I, personally, am a big fan of iCandy. My very first travel system (paid for with my own, hard-earned cash when I was pregnant with Daisy I hasten to add) was an iCandy Cherry in mulberry and I was completely and utterly in love with it, using it again when Evie arrived. More recently I was asked to review their new range of luxury changing bags, and was sent the Verity which I am also head over heels in love with. I was very excited about my impending Raspberry delivery. In all honesty, this is probably going to be the last buggy I get (unless I have more babies, which is pretty unlikely!) and I liked the idea of my first and last ones both being made by iCandy. I was also really interested to compare them to see how their features and functions have improved over the five-and-a-bit years since I was first introduced to them as a brand! First up, lets take a look at these features and functions, as described by iCandy themselves. "Hopping on and off buses, from cafés to cabs, up curbs and through the city, with its agile chassis, ease of fold and innovative, spacious storage capsule, this quick and easy stroller is the smart choice for urban adventures with your newborn or toddler." It can be parent or forward facing, has a large, easily accessible storage basket with an innovative storage capsule that can also be accessed when the stroller is folded, and has 4 wheel independent suspension with tyres that provide you and your child with an extremely smooth ride. Folded, the dimensions are a teeny tiny 85.5cm x 54cm x 36.6cm and the pushchair weighs just 8.4kg. The aesthetics. 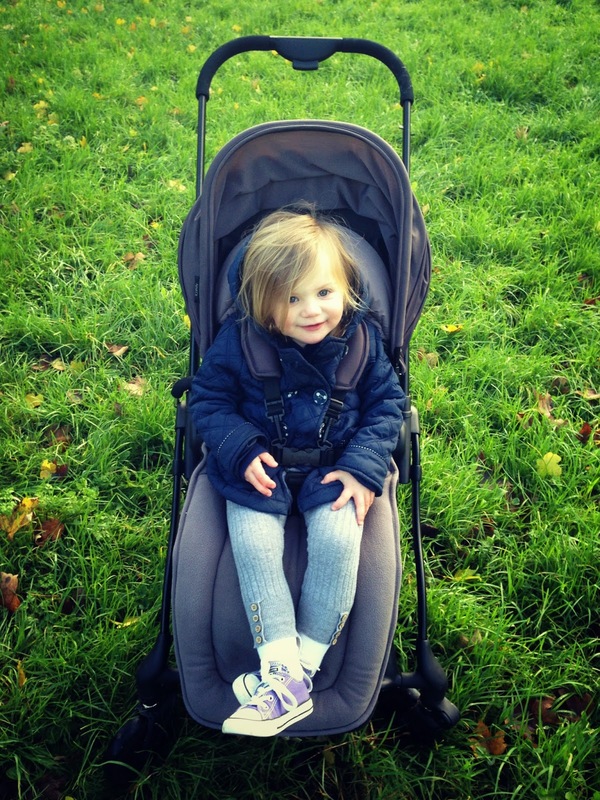 There's no denying this is one good looking pushchair! I love the black chassis and really struggled to choose from the seven colour options! (In the end I went for the super smart 'Beetle' which I think looks great for winter). The shopping basket is huge and very easily accessible in either parent or forward facing mode. This is such a big deal for me; in my eyes the basket is a key selling point when it comes to choosing a pram. I am forever slinging bits and pieces in there - whether it's just my Ruby & GINGER nappy purse when I'm nipping out for 5 minutes, or if it's fully loaded with waterproofs and wellies for days out to the park, or heaps of shopping when I'm on my way back from the shops. It's got to be big and I've got to be able to get to it no problem! The storage capsule within the shopping basket - perfect for storing a damp rain cover without getting the other items in your basket wet (why hasn't anyone thought of this before?!! - good work iCandy!!) - or for valuable items you want to hide away. The size. There has been much talk about the size of the seat being too small but I disagree - and I have a big two year old! It's very narrow I agree, but not uncomfortably so, and this is brilliant when nipping in and out of shops and using public transport. 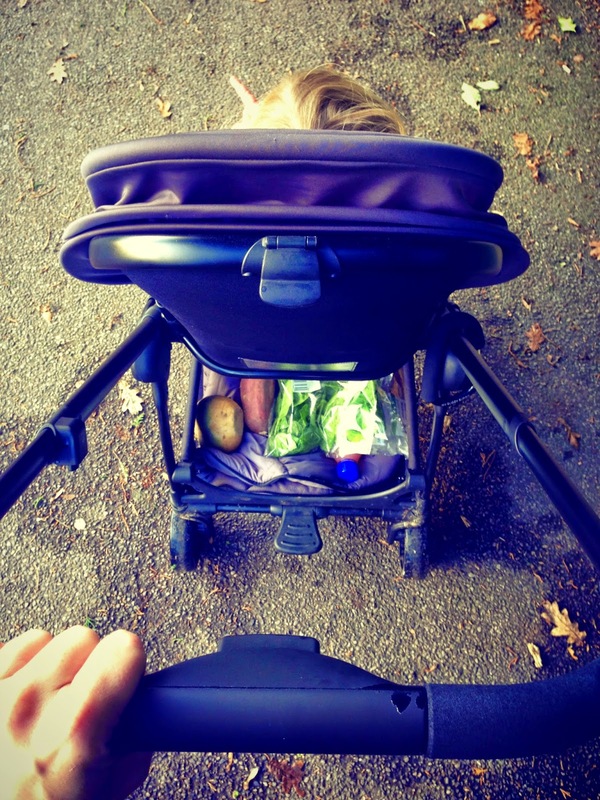 The extendable handle is amazing when you need to reduce the amount of space the buggy takes up e.g. when on a bus or train, or in a cafe. 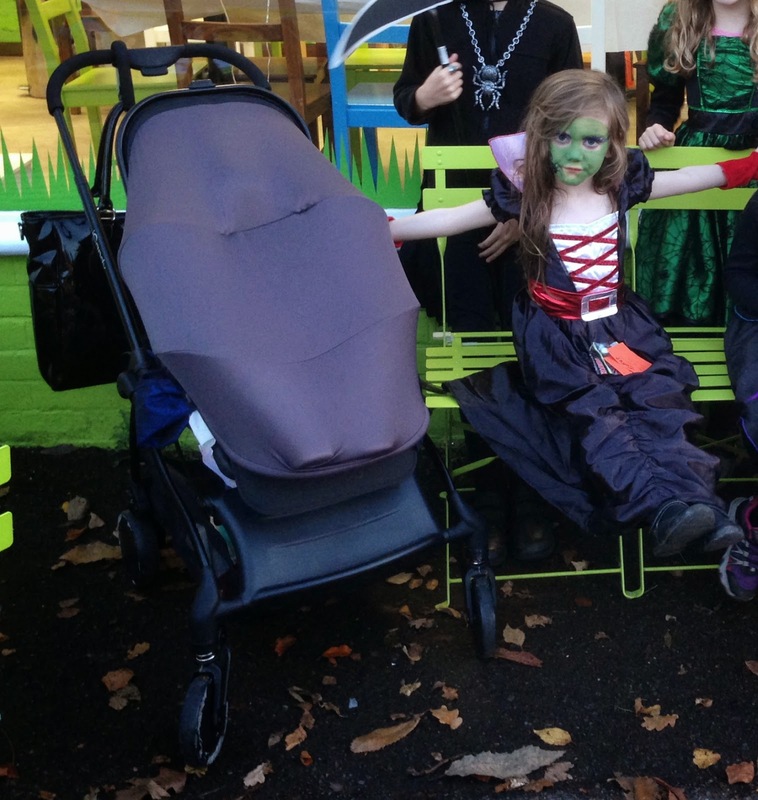 It's quick and easy to adjust and I think iCandy have actually taken into account the importance of being able to reduce the buggy size to take up minimal space when out and about, rather than just having an extendable handlebar for comfort when pushing. The footmuff has pockets which are BRILLIANT. I don't know about you but I REALLY struggle to get Evie to wear gloves. She is very happy keeping her hands warm inside the pockets and, again, I've never seen this on a footmuff before. The seat recline is brilliant and it's smooth and easy to do without disturbing a sleeping child. The fold is teeny tiny, making this the perfect stroller if, like me, you have a small house and/or car. The hood. As you can see in the photo above, it's very flimsy and also not at all shower proof. Because Evie can so easily pull it down (and does, regularly) it has distorted out of shape over the course of the past two months and the rain cover will no longer sit on it comfortably. If Evie plays with the hood while the rain cover is on, she ends up with the plastic lying flat against her face which annoys her. The size of the straps and footmuff. Admittedly my little reviewer is probably one of the oldest (if not the biggest) out of all the children taking part in this current review campaign. She has just turned two and weighs 32lbs so she is very nearly too big for it (it's suitable for children up to 15kgs/33lbs). The straps are already at their largest and she cannot fit in them comfortably when wearing a coat. Similarly, the footmuff isn't long enough and, at 89cm tall, Evie's legs have to bend to fit in. It has a very innovative peaked hood that I love the design of but this won't stretch over Evie's head and ends up behind her neck which looks rather uncomfortable. Both the footmuff and the seat liner slip down while the child is in situ. The break is unreliable. It's excellently located, easy to apply and worked very well to begin with but, two months later, it seems to have a mind of it's own and often disengages itself. It doesn't take kerbs very well. Unless you physically lift the front wheels up over the tiniest step (I'm talking as little as an inch high here), the buggy tips forward. I've never had this with any other buggy I've ever tried so am not sure what might be causing this. It's not the biggest problem in the world though, as I've just got used to lifting the buggy up and/or making sure I use smoother, dropped kerbs. I really do like our Raspberry but would describe it as a 'fair-weather' buggy. Although it's brilliant for chilly winter days, the hood and rain cover really aren't any good in the rain at all. 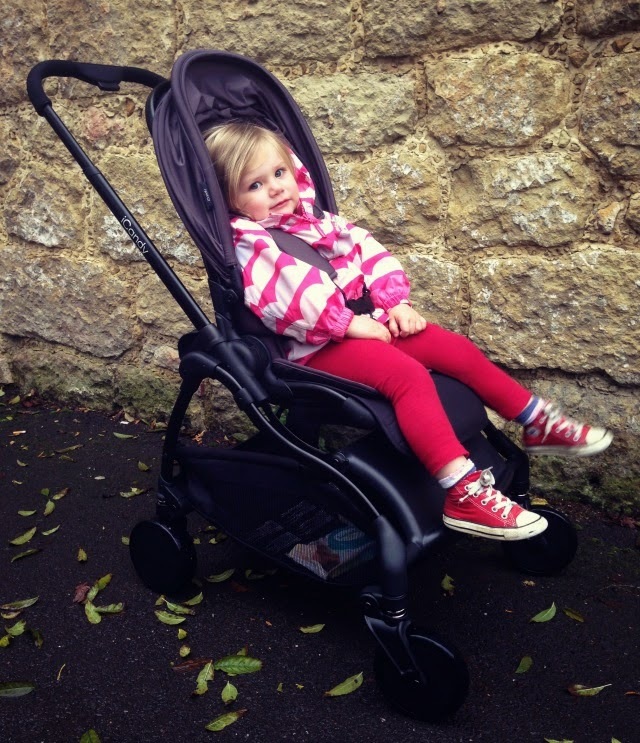 If you want something super stylish as well as being compact and nippy - for trips out to the shops and for use on holiday - then this is definitely the buggy for you. I would, however, advise prospective buyers to purchase this buggy while their children are young as I have a feeling Evie will outgrow it entirely during the course of this winter which is a shame. She only turned two last month and I would expect a buggy to last at least another year. There's no way I can risk having her in it without the straps done up as she would try to escape - and as soon as her thick winter coat comes out of hibernation I know they won't do up over it. 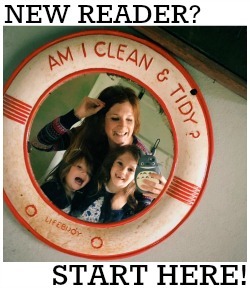 I hope we'll be able to use it again in the spring as I really am quite fond of it. 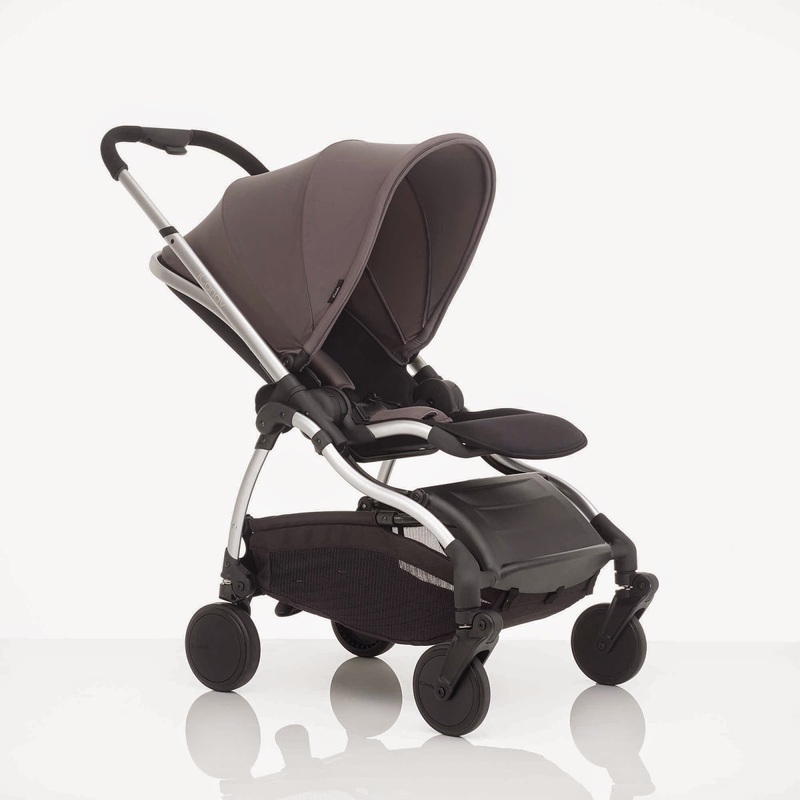 The iCandy Raspberry retails at £420 and is available from all good retailers, or direct from the iCandy website here. We were sent one for free in exchange for this honest review. Did you tell icandy about the straps being tight? I'm having the same problem and can't actually fasten my little one in it with a coat on :( wondering if you have any suggestions? Hiya, I have my Raspberry in Beetle as well. Absolutely head over heels in love with it! I will admit that the retailer told me I can get longer straps if I need them, she just call iCandy for me and got them sent in. Thanks for the comment. Did u finally bought a longer straps? Thank you for your review. I have also fallen inlove with the icandy rasberry. Bubs currently owns a peach2 and apple, but i would like a quick easy stroller for quick shop runs. Loved your honesty, tyvm 😊.